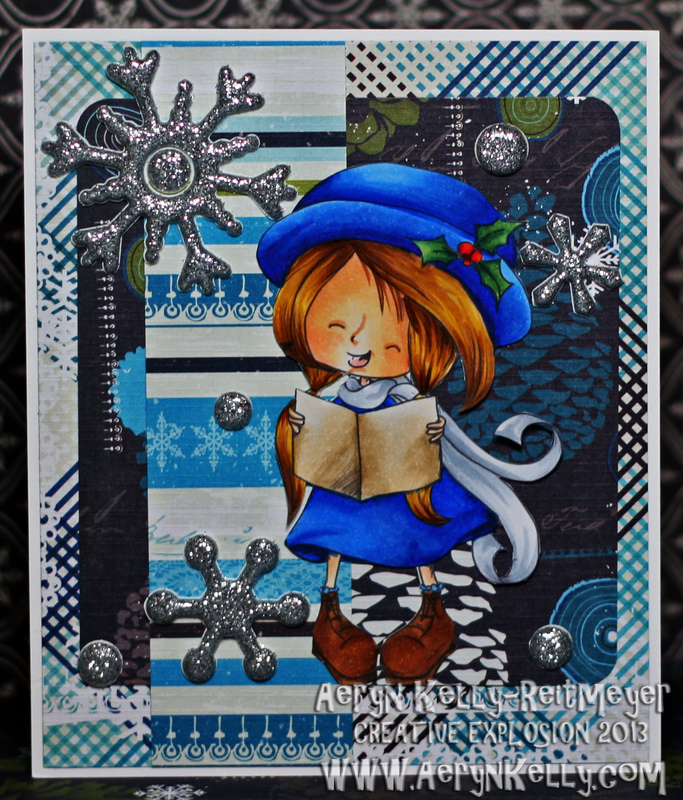 Just a merry little card, all blue and fun. I was going to use her in my DD for my "favourite songs" page, but... I forgot. So now she's a card instead. I really like the paper for this, so I try to make sure the images I use it with is really fun. Awww, she turned out super sweet. Love her nose. Aww, thank you Julie, I'm glad you like her. Such a beautiful card ! Lovely! Do you save your cards for yourself, or actually give them away? Hi, Anandi! I sometimes give my cards away, especially if they're not up to my own standards. You know how it is, there's nothing actually wrong with it, but you don't like it because of all the flaws only you see? If I don't personally like it and someone expresses that they really do, I'll sometimes give it away on the spot. Oh she is so cute! Love your artwork! Your work is amazing Aeryn. When I use Copics , it looks like a kindergarten art project!